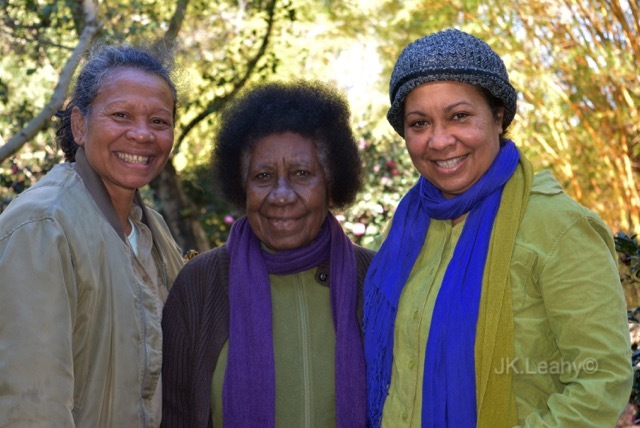 It was a cold day today in Brisbane, but after putting on a few layers of clothing I took my mother Freda (pictured in the centre) to visit my close friend Marina (far left) in her garden. Marina cares for the temperate garden in the Mount Cootha Botanical gardens in Brisbane. It is located 7 km from CBD. 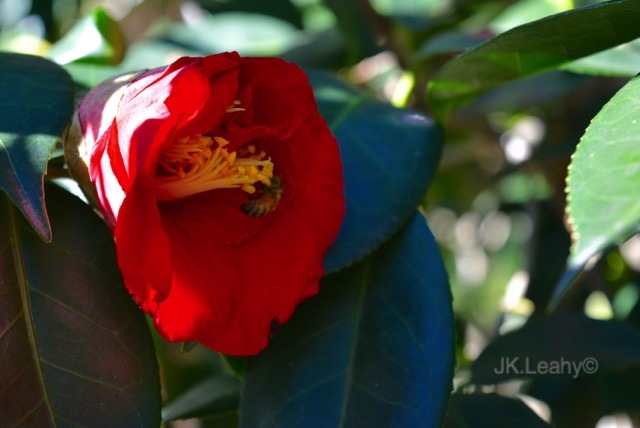 Winter is the time when the temperate garden shines because the camellias are blooming, and the red ones are exquisite. I took a few pictures of different colours, but these red ones were burning to be shown. 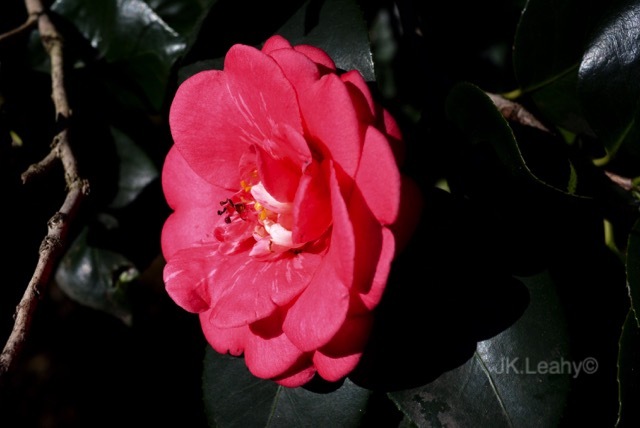 There are also dark pink and a red and white camellia in these pictures. 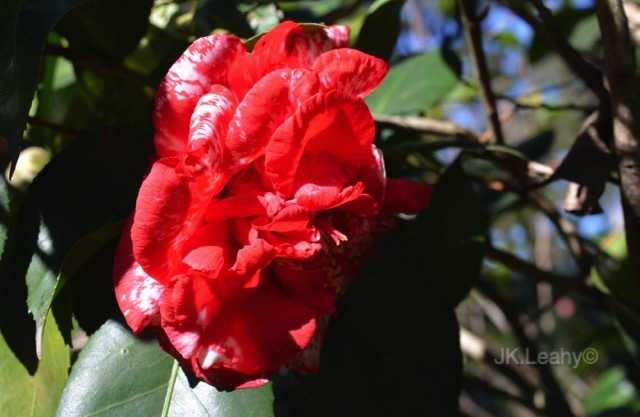 The botanical gardens is opened every day. 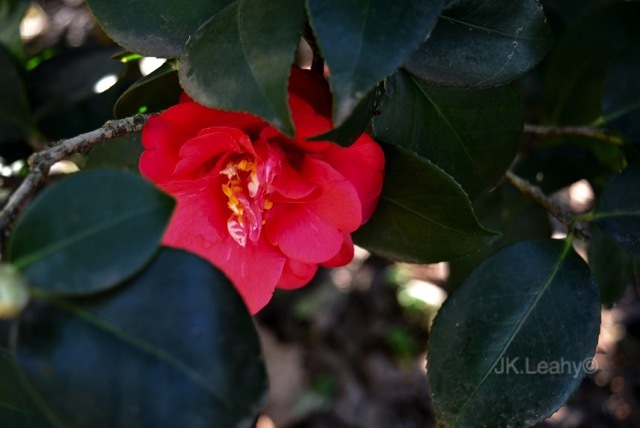 Camellias are easy to grow and can survive for a long time. They are hardy and relatively trouble free. 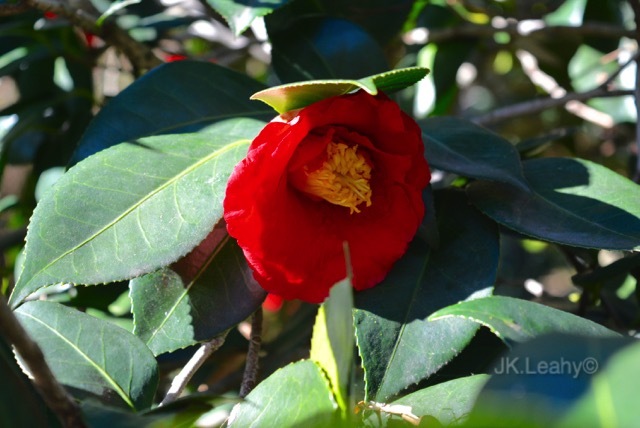 With a little care, they will give many years of pleasure with their attractive evergreen foliage and beautiful floral displays. 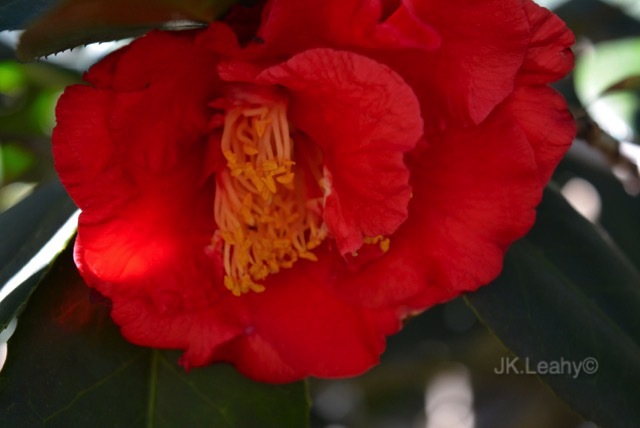 Camellias are known to grow 100 and 200 years – the oldest recorded planting that is still living today is in the Panlong Monastry in China – planted in 1347. 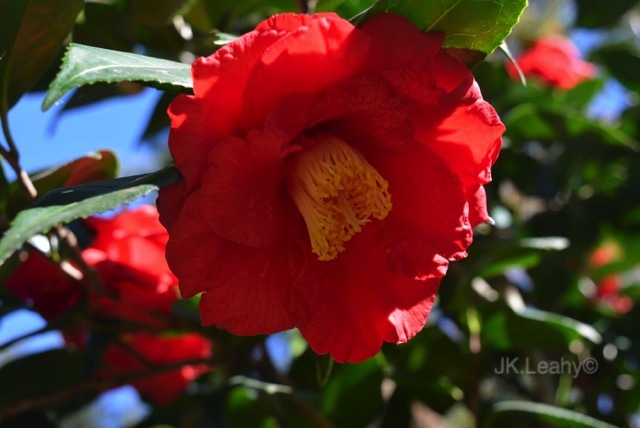 Contrary to popular belief, Camellias thrive in a wide range of conditions – from the cooler climes around the hills of Sydney and Melbourne to the hot and sometimes humid conditions that we experience in South East Queensland and further north. 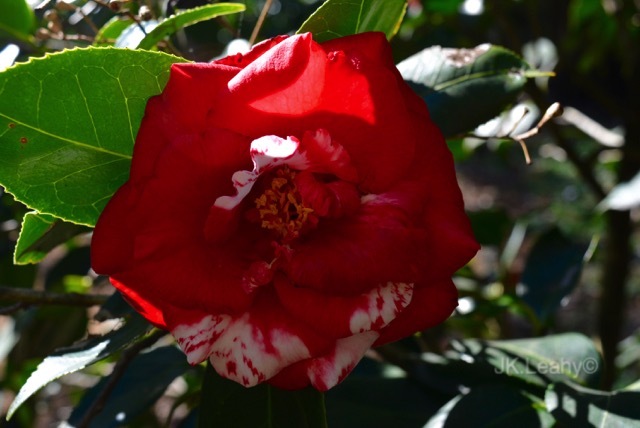 A particular Camellia variety that does well in cooler areas may not perform as well in a warmer region – and of course the opposite applies. The best results will come from selecting varieties that are suitable for the area and position.